Shown with NH2CL Balster Label. The Blue Canister family includes 10 & 20 inch Lengths as well as 2 and 4 inch diameters. Our standard 10 inch comes with a 1/4 Female Thread. 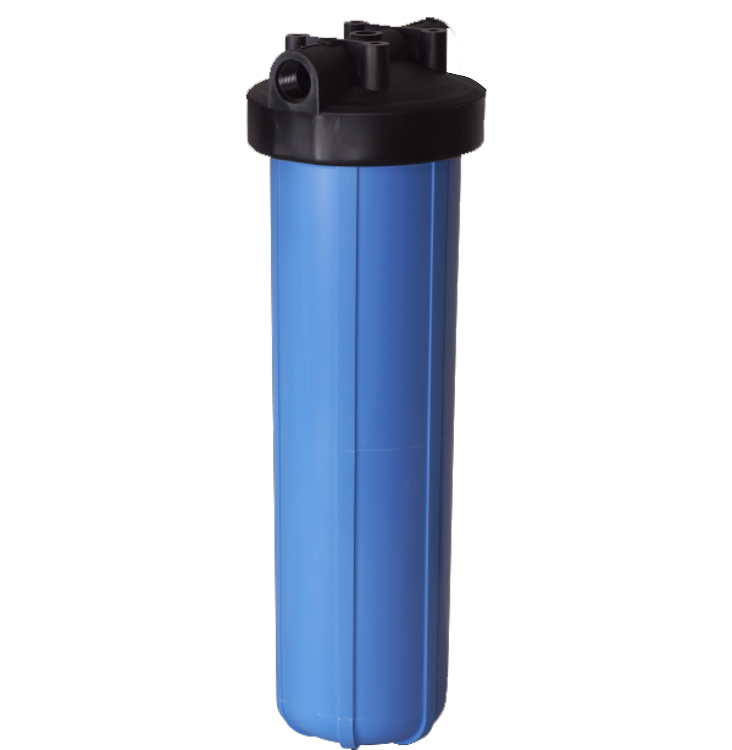 This blue canister is used for our Chloramine Blaster Canisters on our systems. Please keep in mind that our canisters are measured based on filter size. So while this canister holds the 2 X 10 filters, these canisters actually measure 4 inches in diameter by 10 inches in height, this is the size of the canisters used on most residential systems. If you need a larger filter, look in our pull down menu.